All Posts Tagged With: "Gabourey Sidibe"
Gabourey Sidibe looks glamorous in a Marchesa gown at the 82nd Annual Academy Awards. 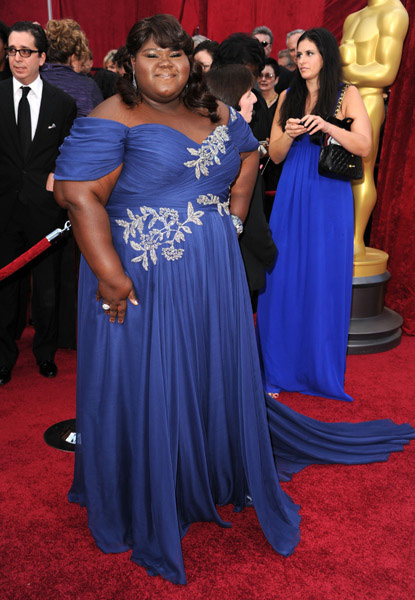 Gabourey wears a sapphire silk chiffon dress with draped bodice and sleeves with hand embroidered crystal detail. Do you love?